Halloween is in two weeks, so you should start preparing for it. This festive holiday is considered as the holiday when you are allowed to show your creativity and let your imagination go wild. It is a tradition to behave like someone else on this day, which requires from you to wear a costume or mask. Beside the costume or mask, there are many ways to achieve the desired spooky look, with the use of makeup. In some cases a makeup can be good enough and may not even require from you to wear a costume. Also, another way to show your creativity on this festive holiday, is by having some eye-catching nail design. 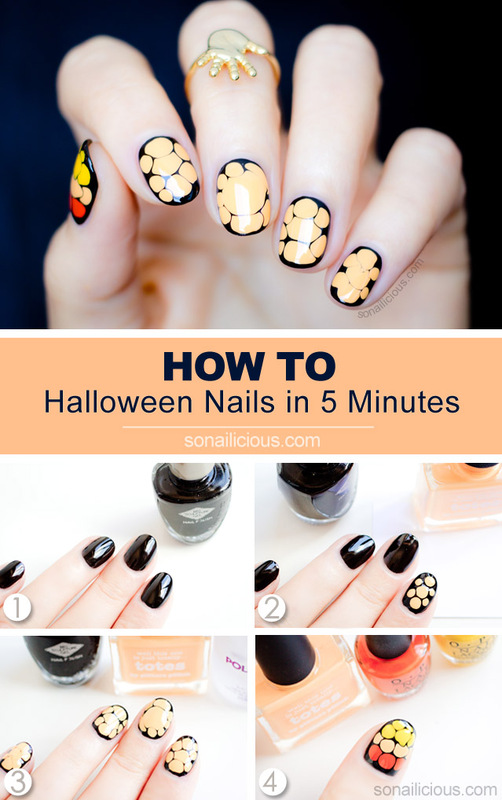 And as we are always here for you to get you inspired for all types of occasions, today, we are bringing to you several Absolutely Awesome Halloween Nail Tutorials that you must see. 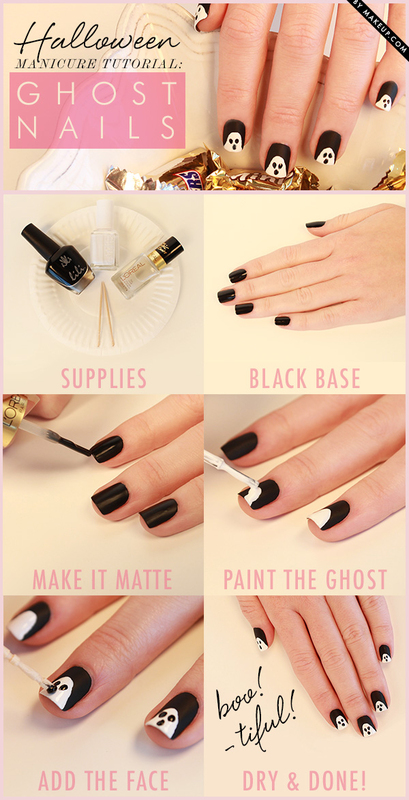 These step-by-step nail tutorials are so easy to be done and you can do them by yourself. They are quite versatile, featuring some of the symbols of Halloween. Such symbols are spiders, bats, ghosts, monsters, pumpkins, blood drop designs etc. You can choose some simple design featuring just one symbol. 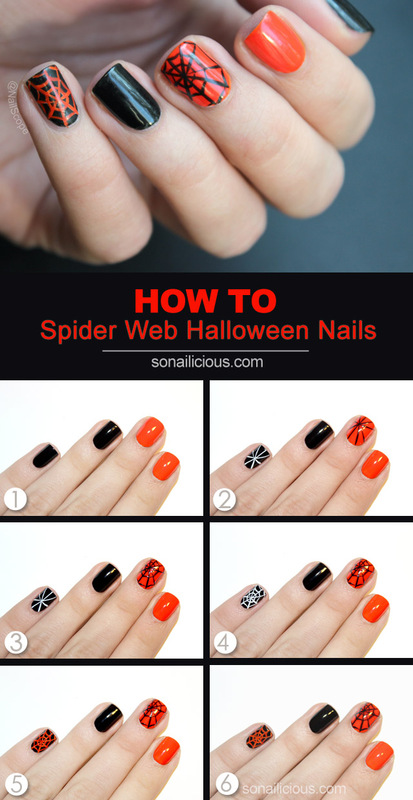 Or if simple is not your type, go for some mismatched nail design that can include several of the symbols of Halloween. When it comes to color choice, the most common nail polish colors that are used for these nail designs are red, orange, black, grey and maybe even white for some details. 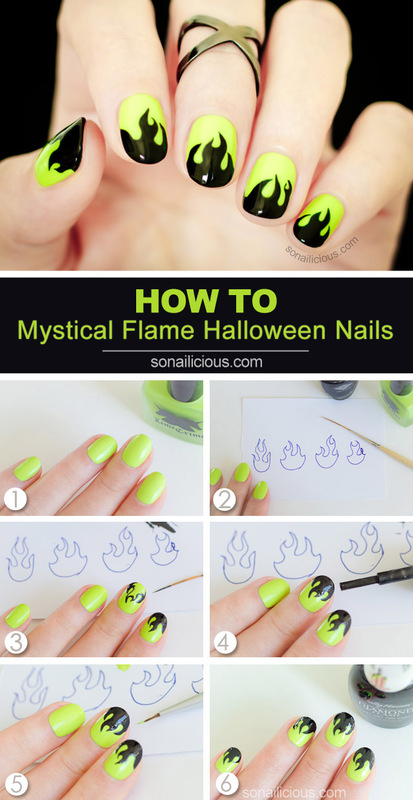 Scroll down now to see the step-by-step tutorials that we have chosen for you today and choose which nail design you will try to copy for the upcoming Halloween. Enjoy! 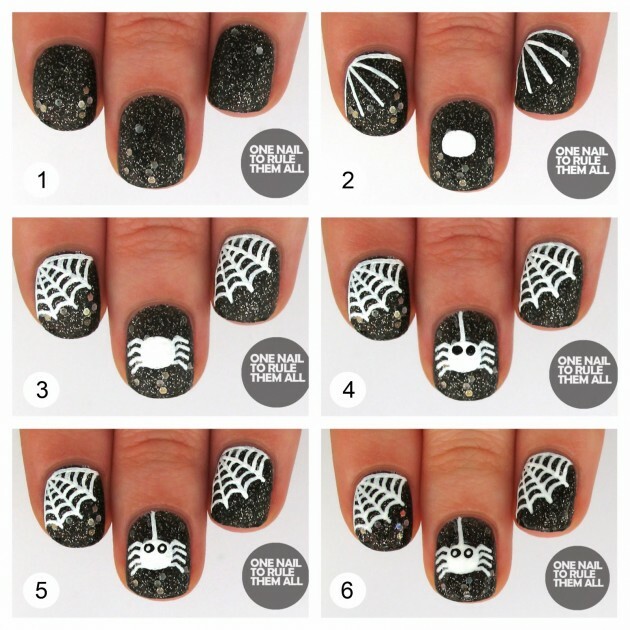 These were the Halloween nail tutorials that we have chosen for you today and we hope that you liked them. Choose which one is your favorite and try to do it by yourself. We are sure that you won’t find this hard, because all of the above nail designs are so easy to be done and the simple step-by-step pictorials can guide you in creating it in the right way. 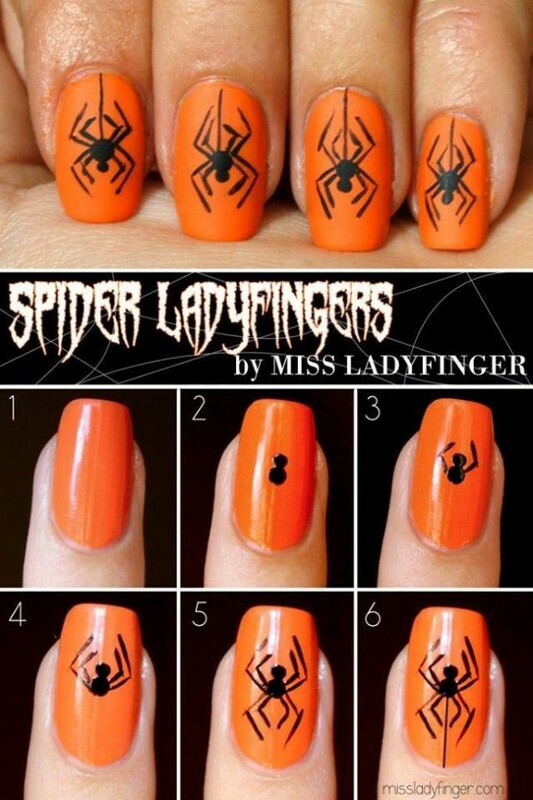 Just get the right nail polish colors and some chopsticks or dotting tool to get the design more precisely. Thank you for reading and don’t forget to stay up to date with the content of Fashionsy to find many other step-by-step nail, makeup and hair tutorials for all types of occasions.